Previously I took a look at IC-BST04 Bluetooth speaker and just looking at the model number one could suggest this one is a step up version. While this in not exactly true, I can see the improvements made already. We are talking about a different class of the device here comparing to a previous instalment. The speaker is bigger and heavier. From these factors alone you can tell that the focus here was about the sound, rather than portability. It comes with an audio 3.5mm cable and a micro USB for charging. The device sports 3 buttons on the top and power one in the back. Charging and the audio interface has been moved to the back as well. This is a welcomed change as cables now can be hidden better. The quality of the rubber lid covering the ports has also improved. Something that I judged harshly in the review of the IC-BTS04 speaker. Entire speaker is wrapped in a nice and grippy rubber ‘tyre’. While you have small, extruded feet at the bottom, buttons at the top lack of any texture. This could hinder the night operation, as no additional indicators are present. 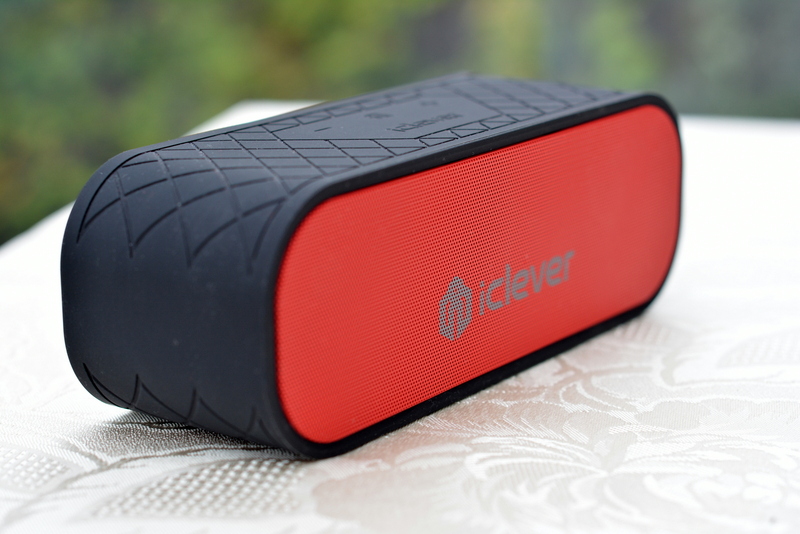 Overall I’m pleased with the speaker build quality of the iClever Bluetooth Speaker BTS05, with the buttons being the only annoyance. The optimistic male voice is gone! The pairing and the connectivity audio feedback has been replaced with simplistic beeps and was the biggest issue I have raised with IC-BST04. Other functions remain the same. This model also supports the conference c all functions. This is where I’m little confused. The classical call works fairly ok, and you should have no issues using the speaker as a conference mic/speaker. Skype call quality is terrible. The sound from the microphone is barely recognizable. I tested my other Bluetooth headset to check if it was the Skype being funny with me, but no. My experience with the Facebook call was exactly the same. The issue was the speaker. Calls can be answered directly from the speaker, music can be skipped or volume changed – all the usual control you would expect from a Bluetooth enabled device. You are not able to use the answer button on Skype or Facebook calls. I guess we are all here for the sound. The speaker is fairly loud but does not scale up the sound very well. Distortion can be heard near the max volume. Something that was not as pronounced on the previous model. With the size comes the bass and low end of the spectrum improvement. Sound sounds deeper, beats are pleasant. This all comes at the cost of high tones. I’d expect little more dynamic sound from the device of this size. Despite the earlier criticism, the device does produce a very solid audio experience. The harsh opinion is caused by stacking it against better competitors. I’m doing this because this is no longer a truly portable device. Yes, it has no wires, comes with a great 12-hour battery life, but due to its size and weight, it would not be your first choice when it comes to backpacking trips. This means the speaker will end up on one of your shelves serving you are a movable audio solution for when you need some music in a room that has no other devices. 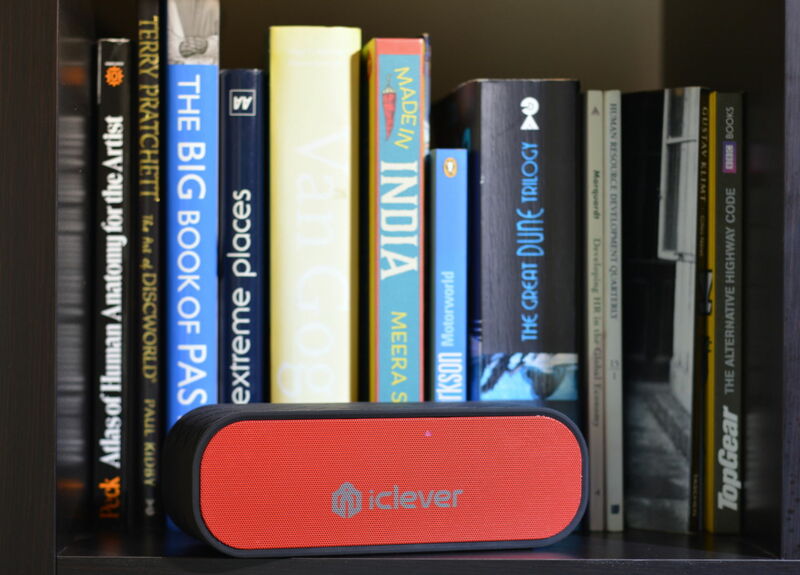 iClever Bluetooth Speaker BTS05 aims to replace your kitchen radio, or small player and free you from any cables that might have come with these. Solid build and slightly deeper sounds will make sure that the speaker is powerful enough for outdoor listening. It will easily outperform any built-in speaker (laptops, monitors, phones and tablets). It is likely to be a competitor against your usual kitchen grade audio. While portability is a definitive advantage – it may not be a direct sound upgrade in all the cases. Let’s have a look and see what other Amazon buyers have had to say about the speaker. This is a new product, and not many people had their say yet. From what I can see so far the reviews are stellar. Personally, I’d like to read the criticisms as well as they show what else I could expect from the product. One thing I That I disagree with is the weight and the size. Perhaps this has something to do with how much stuff I’m willing to take on holidays, but I wouldn’t consider this a holiday-friendly device unless you are going everywhere by car. Everyone is different and I’m happy to give the benefit of a doubt in terms of portability. I was born on a bike, where every gram matters. 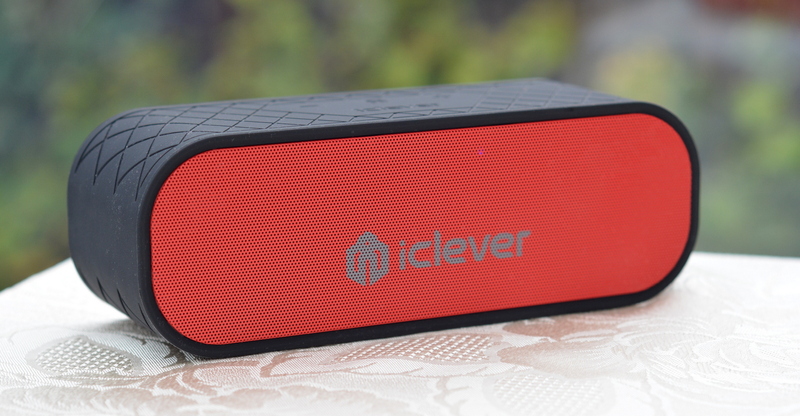 The iClever Bluetooth Speaker BTS05 has been provided to me for the purpose of the review. As usual, with all my reviews I reserve the right to an honest critique of the product.